A fast growing evergreen hedging plant that can be more readily kept in check than conifers that are often grown. Attractive glossy leaves and an ability to produce fresh shoots when cut back to brown wood make it a valuable garden plant. A much nicer looking plant, bushy, quick growing but not in the same bully-boy league as Lleylandii, and with the bonus of spring flowers and the ability to regenerate itself when cut back hard into brown wood. 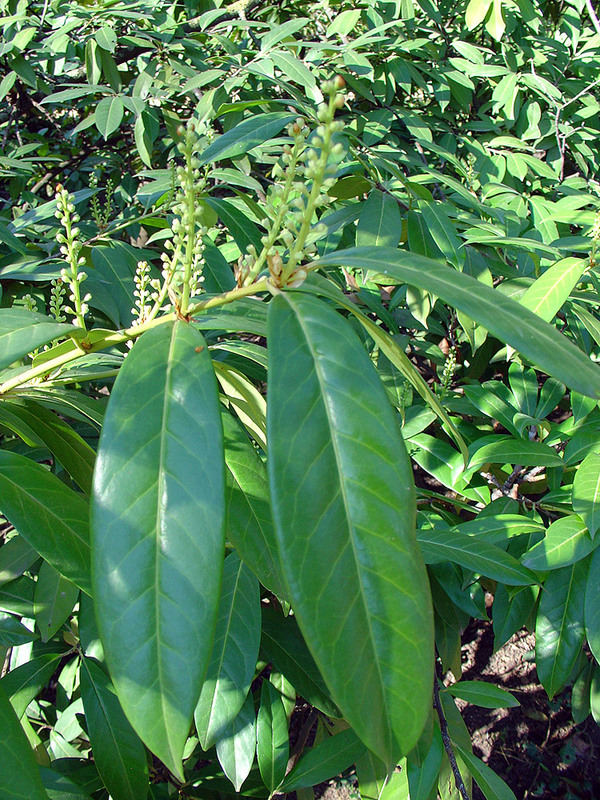 An evergreen shrub with large glossy, dark green leaves. 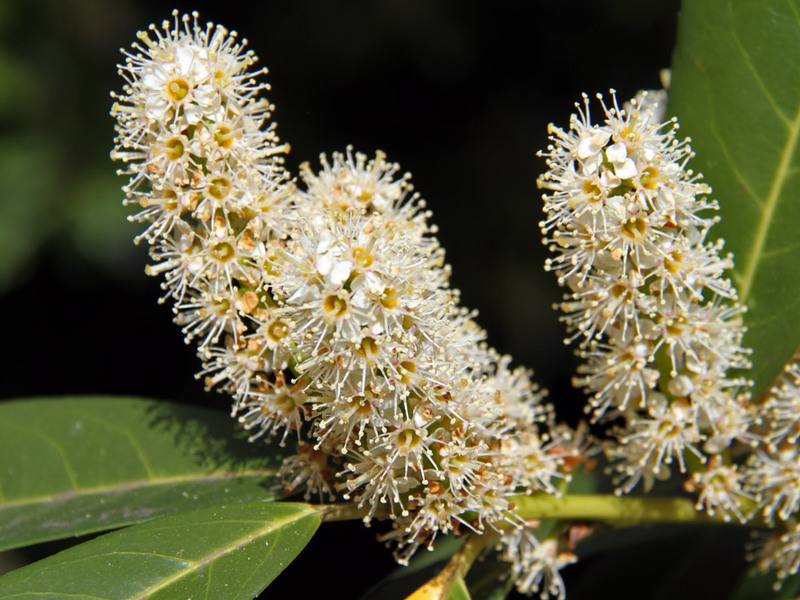 It makes an excellent hedging plant, and can cope with deep shade under trees as well as full sun. Sometimes there are cherry red berries. Will grow into a loose tree if allowed to go unpruned. As well as being used for hedges, make a good windbreak for an exposed corner if planted alone, or a good dark green backdrop to more ornamental plants. Height and spread: 10m x 10m (30ft x 30ft) A smaller variety "Otto luyken" is available that grows only to about 1m x 1.5m (3ft x 5ft), good for the more restricted situation. Pruning: Prune after flowering in May. Use secateurs rather than shears for pruning as the large leaves are easily cut through by shears and will go yellow and brown from the cut edge (not good). Responds to renovation? : Yes Responds well to renovation and drastic cutting back, stage this over 2 or 3 years if possible for a very large plant, but don't worry too much if you can't. Most frequently asked question. I planted some laurels 4ft high 1 month ago, some leaves are wilting and going crusty. There are holes in the leaves though not all, and brown patches can you advise what to do as I don't want to lose them. A. Laurels don't like being moved much and the larger they are, the less they like it. Chances are they're just having a sulk. Assuming you planted them correctly it's a case of making sure they don't dry out too much. Things will start happening in the next month or so (April at time of writing) and it's more than likely that the dropped leaves will be replaced by new buds that you should see starting to grow? You also have to remember that although laurels are evergreen this means they always have some leaves rather than always have the same leaves, leaf drop is part of the normal annual cycle. An upset (like transplanting) means they might do it in one go. It's more a question of hold your nerve for a while, make sure you "baby" them through the first summer, a good soak once a week if it turns out to be dry (not smaller daily waterings), mulch them and feed in the autumn. Q. I have a huge laurel tree in my back garden. It is about 30ft! It has just been knocked down by the storm winds and needs to be removed as is dangerous. Is it ok to burn the wood and leaves? It has been suggested to me that the fumes from burning the leaves is poisonous. Is this correct? A. Poisonous - not really any more than usual bonfire fumes which are pretty bad anyway. Laurel leaves are full of oil and ignite fiercely, which is good in getting the fire going, but can be a bit surprising if you're not expecting it. Start off with a smallish fire and add extra branches to gauge how fast they will burn rather than throwing loads on at once or it will burn like a minor wildfire. Q. I have a large west facing garden to the side of my Suffolk Cottage, bounding against a road. In April this year I planted a Laurel hedge along this boundary, I hope to eventually have a dense informal hedge around 6-8 feet high. The Laurels were 4ft high when planted and they have grown strongly over the summer, they are now around 5-6ft but are starting to look a little leggy. 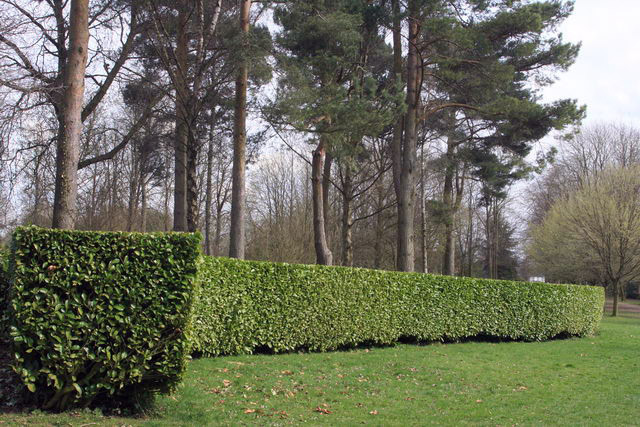 How do I go about cutting the hedge with the aim to achieve a dense high hedge? I very much hope you can help with this question as I have hunted high and low on the WW web and found very little advice. A. If left to their own devices with lots of space, laurels will grow into a bushy tree / tall shrub about 20ft + high. It seems that this is what yours are in the process of doing, particularly as you say they have grown strongly. To get them to bush out, particularly low down, you need to prune quite hard. Cut them back at the top to prevent the development of a strong leader which will encourage a tree-like form. It's difficult to guess without seeing them, but I'd take about a foot off. Laurels respond well if rather slowly to being cut back hard. If there are any branches low down, then cut them back close to the trunk - even though this seems the wrong thing to do. The plant will respond by breaking several buds where there were originally only one or two, so helping cover up the lower part of the stem. The best time to do this is late spring after they have flowered, don't expect to see much coverage for about a year, but it will come. If you're a bit unsure about this drastic action, just do a couple in the middle of the hedge (i.e. with one either side, and then the rest when you're confident it works !). Prune laurels with secateurs and loppers, hedge shears cut the large leaves causing die-off at the leaf edge which looks a mess. Q. I'd really appreciate any info you might have re a dieback problem I'm having with my laurel hedge. About 2 months ago a three feet wide section of the hedge appeared frost-damaged - we had 2 or 3 very sharp drops in temp at night during the previous week. The hedge had been well cut back c3 years ago due to building work but was flourishing with lots of lush new growth - I thought its thinning perhaps had made it susceptible to frost damage. This 3 feet section however has now extended to almost 6 feet wide & appears to be spreading. My neighbour & I are very concerned & would appreciate any advice on how we might save it. The laurel is c.12 feet high/50 feet long & I think was planted when the houses were built in 1920s - the leaves are fine and small and a light green colour, not dark. The dieback appears to start from the bottom up with leaves wilting, then brown spots, then entire leaf brown and stems browning. 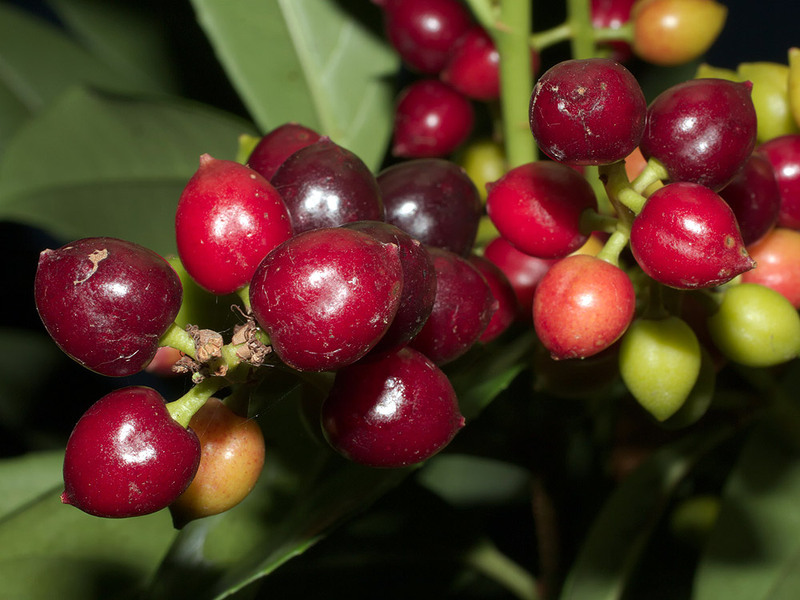 Is there a disease that affects laurel? or could the roots be water-logged (nurseries here have been recently selling off plants due to the extraordinary wet weather we have had!) A friend has also suggested cats & their 'ablutions' (another neighbour has two new cats). A. If those cats can kill off a 12ft high by 6ft wide 80 year old laurel, I'm glad they're in Northern Ireland and not over here! Seriously though I think we can disregard the cats as a factor. 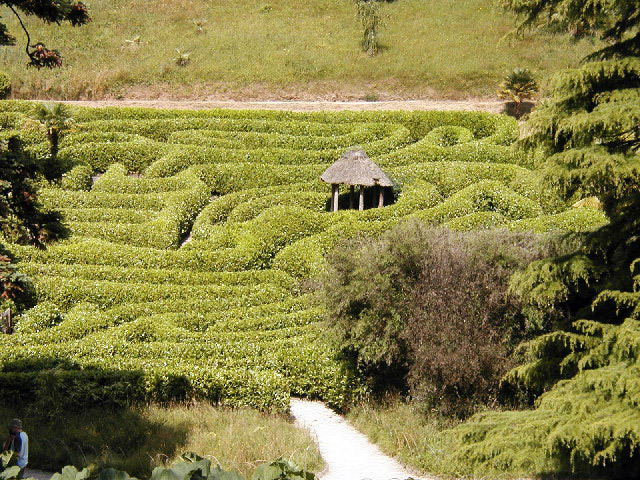 It's difficult to tell without seeing the hedge directly. With such a large old plant, I think the most likely cause will be a fungal disease triggered by several factors that have acted together to weaken the plant. Age, water logging, physical damage - letting fungal spores in - may all have a part to play. The first thing I would do would be to delve into the hedge and determine how many plants the die-back is affecting, is it just one or is it moving to others? Look carefully at the plants, leaves, stems, trunk for any clues, I presume there aren't any pests or you'd have mentioned them? Are there signs of fungal disease any where? especially low down near the ground, is the bark damaged? Is there anything peculiar about where the damaged plant/s are growing? Are the branches the dead leaves are attached to dying too? Snap one or two and see if there are signs of life. If they are dead then cut back into a live part. If they are still alive, things are looking better. To be honest things don't sound too great and it may be a question of containment if the problem can't be dealt with directly, stopping it from spreading to the next plants on in the hedge. If the problem is containable and stoppable then the good news is that laurels usually recover well from some hard pruning. Q. 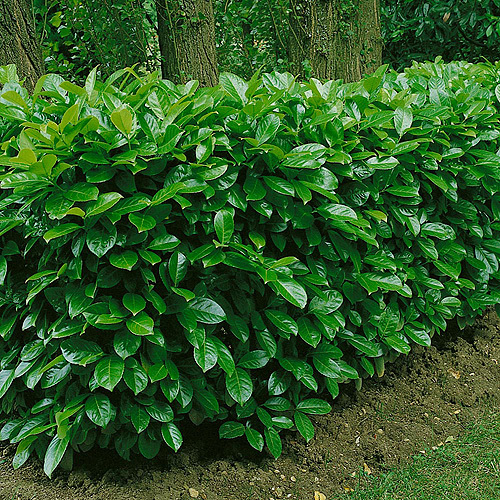 What is the best time to plant a laurel hedge? A. The best time to plant any kind of shrubs / trees / hedging is in the early autumn. September to November. That way there's still enough of the growing season left for the plants to get established before it gets cold. It's not going to be so hot or dry that the plants get stressed or need lots of looking after and come the spring they're all ready and raring to go as they are established already. The down side is that you don't really see much growth for about 6 months. Spring, Feb to about May is also good. If plants are containerised however they can be planted at any time of the year as long as they're looked after, but autumn is optimal. A. It certainly sounds like a fungal disease, the rain of the past month has meant that fungi have found it easy to take hold on many plants. I'd get a proprietary fungicide and use that. You could use the Bordeaux mixture as well, but I wouldn't use it on its own. If the leaves fall, collect them and dispose down the tip - not on the compost heap, get them out of the garden. Spray the hedge as soon as you can and then repeat it 5-7 days later, you may need to do it again if the disease re-surfaces. Will it cure the disease? No guarantee, sometimes such diseases are a symptom of something else, like getting a sore throat with the flu - opportunists can make the most of a weakened condition. I would expect a good chance of recovery though. Q. We have our garden enclosed by Laurel Hedges. Gradually one by one they are deteriorating i.e. leaves go yellow and brown and drop off. Why? on the stems one sees a 'Clear Gel' appearing to ease from the wood (the laurels are well established with 30mm diameter trunks). The gel appears along the lengths of the trunks and branches. Can you help please as holes are appearing everywhere and we are losing our lovely garden. A. It sounds very much like your laurels have a bacterial canker that particularly affects plants of the Genus Prunus to which laurels belong. If there are clearly defined areas of bark that are flattening and sinking inwards near the regions of oozing sap, that just about confirms it. Infected areas should be pruned out and burnt, though this should only be done during the summer months if possible. Spray with a copper based fungicide such as Bordeaux mixture or with copper oxychloride. Ideally this should be done in late summer, then early and mid autumn. Start now and leave about 2 weeks between sprayings. Q. Help with rampant laurel greatly appreciated. We recently have moved and are now occupying a property which includes a lovely, mature garden. However, a few shrubs and trees are very over-grown. I found your site by searching for laurel pruning, and whilst I see you have already posted some advice on bringing into line an eight foot laurel hedge, I hope you will advise me on how to tackle one which has reached 25 to 30 feet in height and 12 feet in depth! The hedge runs along 60 or so feet of the border between our property and our neighbour's and encroaches on both. I have spoken to the chap next door who is as keen as I to win back some room, but we both also agree that it would be desirable to leave a screen between the two properties. Some of the main trunks measure in excess of seven or eight inches in diameter. The hedge is planted two feet away from a four foot tall stone wall. How would you advise that I proceed? A. Sounds like you've got a bit of a monster there! I'll start by admitting that I've never actually brought anything of that size down to a reasonable height and thickness, though I have tackled smaller, but still large Laurel hedges. Don't try to do anything until the late spring when it's growing strongly, pruning laurels in the dormant season can introduce disease and you might damage or eventually lose one or more plants. 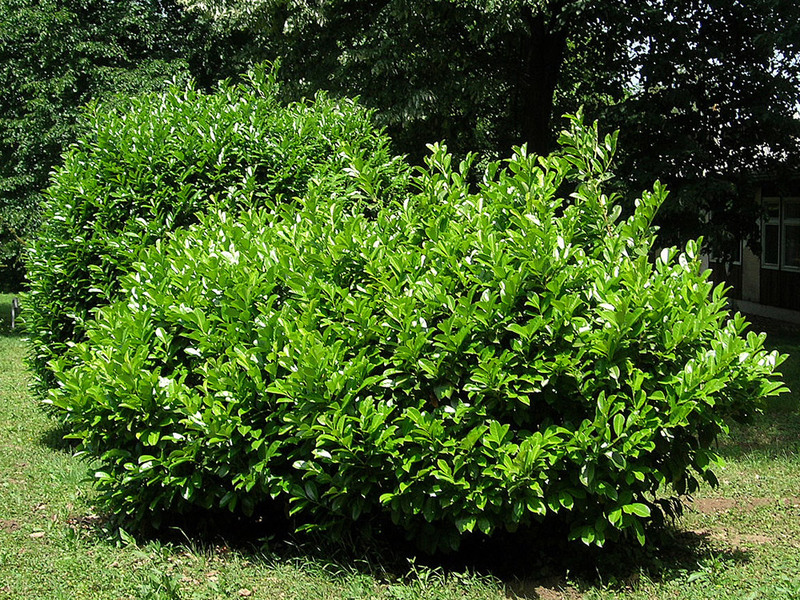 Laurels will generally grow very successfully from brown wood and so it is possible to get the result you want without too much of a problem, there will probably be a time where the screen is rather sparse and woody rather than thick and leafy however it will thicken up again. As you're cutting so much off them, I'd try to do it over more than one season. What you don't want to do is say chop 3 feet off either side of a 12 foot thick plant and then a further 2 feet the next year as all the energy and regowth from the first cuts will be lost again. Cut one side back fully and the other not all until it's recovered. If it recovers well, you might even try the second side the same season. I'd go for height and one side to start with and then the other side later on. Take care that you don't let the bark tear off as larger branches or trunks fall, cut through both sides partly before through the whole trunk. You'll also be left with a huge pile of growth to get rid of. If you have a mighty compost shredder and the patience, you could feed it through that. If you have the space you could burn it, but beware, laurel leaves are full of oils and burn like buggery! You could take it to the skip if you have access to a van, or you could pay someone else to dispose of it. 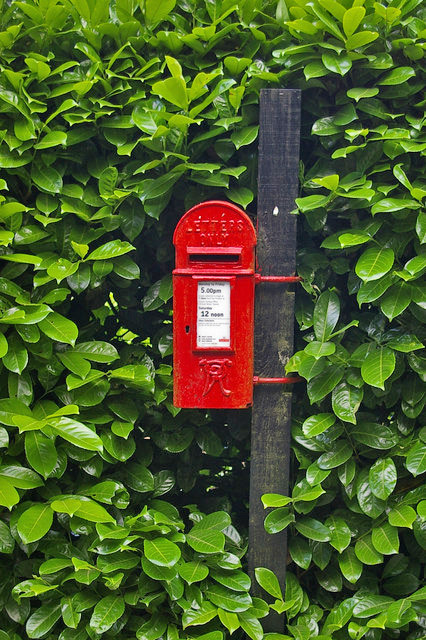 If you choose to pay someone else to do it, I'd be tempted to do the cutting myself and get them to do the disposal as the kind of contractors who do this tend not to be the most skilled or careful horticulturalists! Oh yes, buy a new blade or two for your bow saw before you start and use loppers where possible. Many thanks for your reply. Your advice is very welcome and timely. Lately, I have been approached by a local contractor who, knowing that I wanted to drastically prune, suggested that I should proceed with impunity, as 'you can do pretty much what you want to laurel' and that we could start immediately. I will now proceed with more caution and confidence. Luckily for me, I sell bow saw blades!!! Thank you once again. Q. Nearly two years ago, I had a laurel hedge planted, it consists of about 30 plants and is now beautifully knitting and desperately in need of a bit of trimming. My question is, that many of the leaves are displaying holes, about the size of the top of a pencil. Could this be caterpillars, if not, what do you think it could be, and what would be a safe, preferably non-chemical way of treating it. A. Sounds like a malady called "shot hole" are the hole edges clean and green - like they've just been eaten? or is there an inconspicuous but distinct brown ring at the edge of the hole? - if the ring is there it's probably shot hole. There will also be brown spots of dead tissue on the leaf. Patches of cells die and turn brown, then the brown dead part drops out leaving the hole. If it's caterpillars, you should be able to find some, possibly under the leaves if they're not conspicuous. Shot hole is a symptom rather than the name of a disease, and there are many possible causes from various kinds of fungi or bacteria. Treatment is by applying some kind of fungicide, copper or sulphur-based treatments are considered organic and you should be able to get a preparation at a garden centre (Bordeaux mixture contains copper). Q. I have approx 1/3 of an acre at home idle. I have lots of laurel hedges grown in my garden as borders and have grown very fast. I had an idea of maybe buying approx 2 feet laurels and either potting or planting them on the 1/3 acre for a few years and selling on as a mature hedge. I think one of your answers says moving laurels especially as they get older is not a good idea. So could I pot them in lines for a few years until they are approx 5 or 6 feet and would this be a difficult process? A. What you describe is perfectly possible, as a landscaper I have bought laurels in 10L pots that are about 4-5 feet high and they are very useful in giving a start to a hedge. If you go the container route, you need to think about how they are going to be watered, some degree of automation is needed even if it's turning on the tap for a sprinkler or leaky hose every now and then. You might also want to think about growing large ornamental conifers if you're doing this too, they were very useful to me as a landscaper and not easy to find. These can more easily be field grown and then sold in winter months root-balled with hessian. Make sure you do some research though locally as to the market, someone I know of grew half a a field of Lleylandii, by the time they were big enough to sell, no-one wanted to buy them thanks to the horror stories! laurels should be better though. Photo credits: (numbering left to right top to bottom) 1-Bruce Hall - Creative Commons Attribution 3.0 Unported license. / 2-Gmihail at Serbian Wikipedia - Creative Commons Attribution 3.0 Unported license. / 3-Ian Capper - Creative Commons Attribution 3.0 Unported license. / 4-Mike Dodman - Creative Commons Attribution 3.0 Unported license. / 5-Retama - Creative Commons Attribution 3.0 Unported license. / 6-Slick - Creative Commons Attribution 1.0 license. universal / 7-Stanzilla - Creative Commons Attribution 3.0 Unported license.